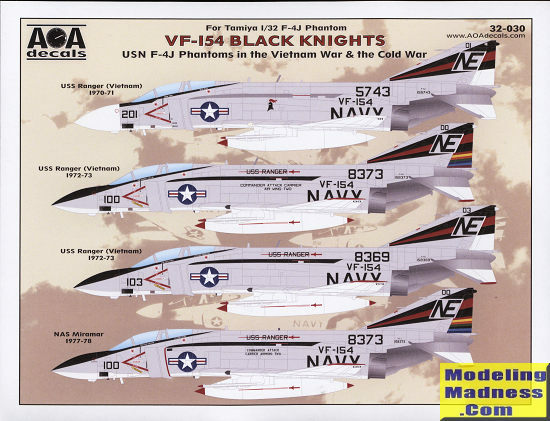 This new AOA Decals sheet concentrates on VF-154 and their F-4J years. Specifically on the light gull grey over white schemes. You are provided with four markings options, three of them from the Vietnam years and one from a few years after. The first option is a standard line bird from 1970/71 time frame. The fourth option is a CAG bird from 1977/78. This aircraft is the same from the 72/73 period, but there are differences in the markings. Obviously the aircraft has been through rework/repaint in the convening years. 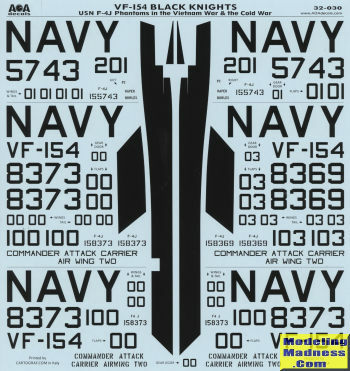 The decal sheets contain enough common markings to do one of the options, but if you use some of the common kit markings, you could do two of them. The set includes both the black and the grey wlak areas. You will need to paint the black canopy surround as well as the wing/stab tips and the tank tips on some of the options. Kit instructions are very well done and provide a number of notes to help you with your choice of schemes. For kits the Tamiya one is pretty much it in this scale for most, though Revell did one that is not as well done as the Tamiya offering and availability is questionable on the Revell kit. 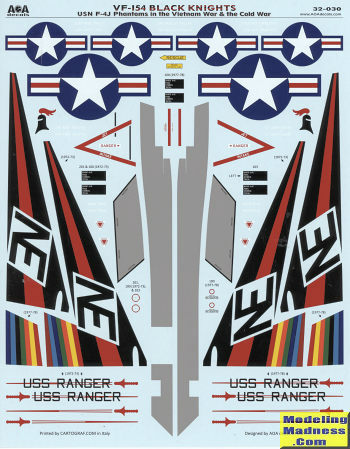 If you are a large scale builder of F-4s, you should add this to your collection.